The celebrated opera singer Lo Svizzero was born in a belfry high in the Swiss Alps where his mother served as the keeper of the loudest and most beautiful bells in the land. 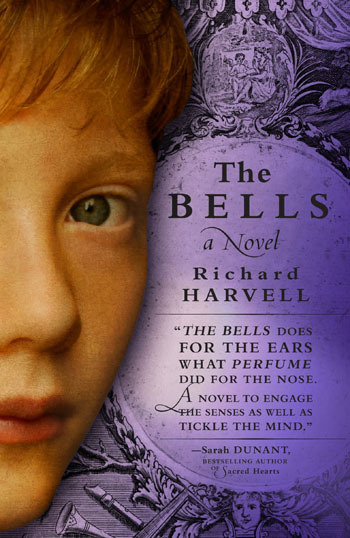 Shaped by the bells´ glorious music, as a boy he possessed an extraordinary gift for sound. But when his preternatural hearing was discovered–along with its power to expose the sins of the church–young Moses Froben was cast out of his village with only his ears to guide him in a world fraught with danger. Rescued from certain death by two traveling monks, he finds refuge at the vast and powerful Abbey of St. Gall. There, his ears lead him through the ancient stone hallways and past the monks´ cells into the choir, where he aches to join the singers in their strange and enchanting song. Suddenly Moses knows his true gift, his purpose. Like his mother´s bells, he rings with sound and soon, he becomes the protégé of the Abbey´s brilliant yet repulsive choirmaster, Ulrich. But it is this gift that will cause Moses´ greatest misfortune: determined to preserve his brilliant pupil´s voice, Ulrich has Moses castrated. Now a young man, he will forever sing with the exquisite voice of an angel–a musico–yet castration is an abomination in the Swiss Confederation, and so he must hide his shameful condition from his friends and even from the girl he has come to love. When his saviors are exiled and his beloved leaves St. Gall for an arranged marriage in Vienna, he decides he can deny the truth no longer and he follows her–to sumptuous Vienna, to the former monks who saved his life, to an apprenticeship at one of Europe´s greatest theaters, and to the premiere of one of history´s most beloved operas.